Common symptoms include sciatica, lower back pain, weakness in the legs, a feeling of tightness in the hamstrings. Patients may even have a limp. Muscle spasms may appear. The standard test is an X-ray. Isthmic spondylolisthesis usually should show up on an X-ray. A CT scan or MRI may also be ordered. The disorder is classified differently depending on how sever the slippage is. Partial slips are graded I-IV. A complete slip gets a grade V. Treatments will vary depending on what grade is assigned. Nonsurgical treatments include bed rest, anti-inflammatory medicine, over-the-counter pain medicine, steroid injections, and physical therapy. The disorder can get worse without treatment. Possible treatments include surgery which uses rods and screws (called spinal instrumentation) and bone grafts. Skilled physicians will explain the options in more detail. The information contained in this blog is for educational purposes only. This blog does not create a doctor/patient relationship. 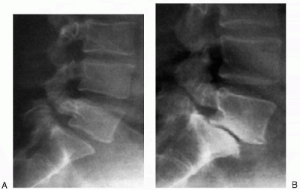 This entry was posted in Back pain and tagged Isthmic Spondylolisthesis. Bookmark the permalink.